Accuity, the leading global provider of risk and compliance solutions, has today published the first survey of its kind exploring the legal profession’s understanding and use of Anti-Money Laundering (AML) and Know Your Customer (KYC) compliance controls to help meet new regulation. The results reveal that some of the main challenges include: identifying Ultimate Beneficial Ownership (UBO), establishing clients’ source of wealth and asking fee earners to take responsibility for due diligence. Over the past 10 years, the legal industry has faced increased regulation, from the implementation of the EU Third Anti-Money Laundering Directive to the proposal of the Fourth Directive which is due to be implemented by member states in 2017. These policies, when coupled with major media scandals such as the Panama Papers, have made AML and KYC a priority for many legal organisations. The survey results show that 49% of those questioned stated educating staff on how to report a compliance breach is extremely challenging. This raises the concern that internal red flags may be missed by those working with clients if they have not received adequate training to know how and when to report breaches, potentially leaving the firm vulnerable. 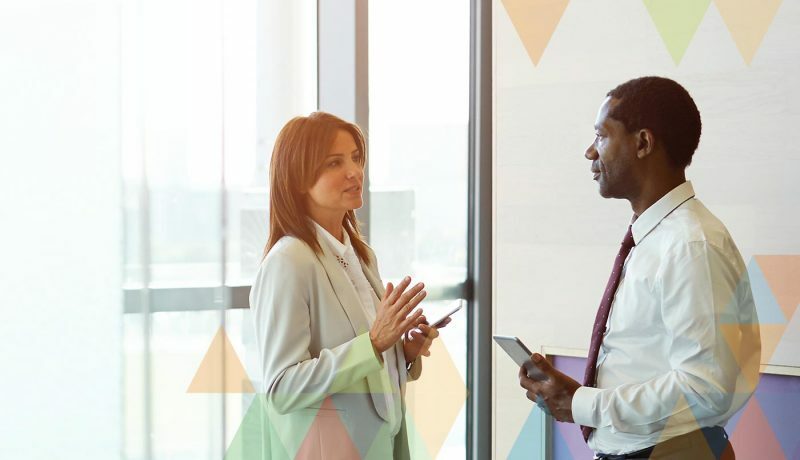 In addition to internal challenges, the onboarding process for clients and the compliance obligations involved can also pose potential difficulties. 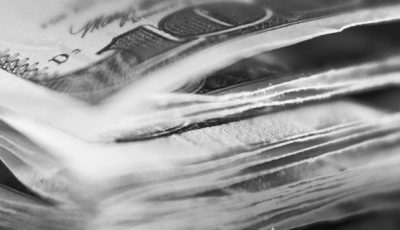 Fee earners can find it challenging to place enough focus on AML due diligence processes whilst being incentivised to attract new business at speed. The survey questioned 100 compliance officers at law firms from the UK and Europe specialising in a wide range of legal practices. Both small firms (under 100 people) and large firms (over 100 people) were included in the comprehensive research. Over 100 compliance professionals from law firms responded to the survey, including: MLROs, Heads of Risk & Compliance, Heads of AML, Compliance Officers, Managing Directors, Partners and Practice Managers. The most common practice areas covered by the firms represented included Company Commercial (20%), Commercial Property (16%) and Private Client (15%). The majority of participants stated that they work within the UK (82%), with the remainder (18%) from other European countries. Firms of all sizes were represented – 56% respondents represented ‘small’ firms (under 100 people), and 44% represented ‘large’ firms (101 or more people). 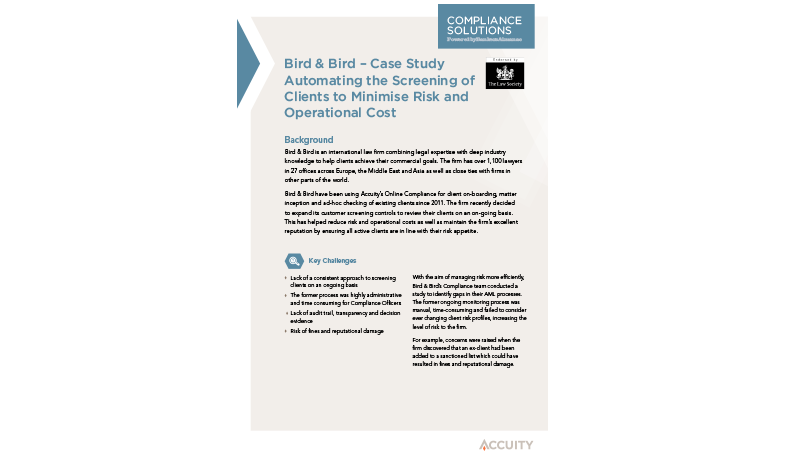 Automating the screening of clients to minimise risk and operational cost. Building relationships or transacting with current counterparties, you need to be protected.